Southmoreland seniors Megan King (left) and Olivia Price. 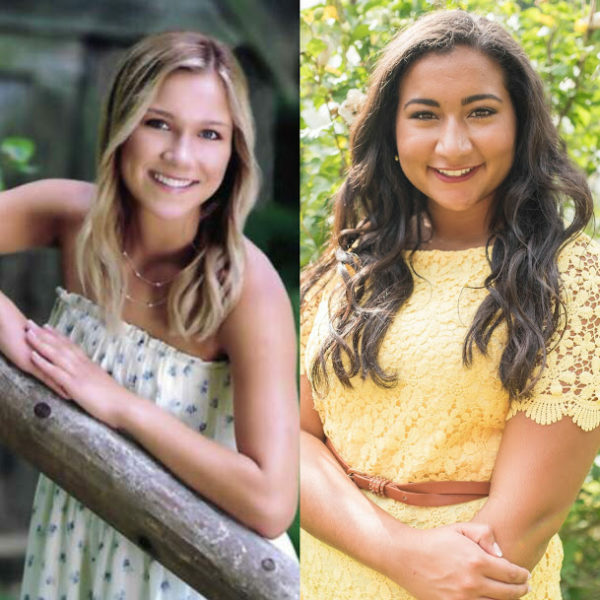 Olivia Price and Megan King have been accomplished students at Southmoreland High School and have found success in the classroom. Because of this, both girls have achieved full tuition scholarships to their future colleges. Price will be attending Duquesne University majoring in biology through the pre-medicine program, where she was selected to be a Bayer School Scholar. Price, as a scholar, was selected for this high achievement where she will participate in paid research programs this summer. Even when Price was in elementary school, she had a love for science and wanted to be a marine biologist. King has also achieved a major scholarship through Robert Morris University called the Presidential Scholarship that is free tuition for 4 years. For the scholarship, she had to submit a video presentation, 500-word essay, and an infographic resumé. She will be majoring in actuarial science at the university this fall. Both girls have accomplished many things through and outside of Southmoreland High School. King has achieved a GPA of 4.271, a SAT score of 1430, and she is currently a member of National Honor Society and Student Council. She was also selected as Scottie Scholar for September. Price, along with earning a GPA of 3.96, has attended many outside programs to further her education. She graduated from the Lake Erie College of Osteopathic Medicine Emerging Scholars Academy and attended the Westinghouse Science Honors Institute lectures. Price was also invited to Duquesne’s honors college and accepted into their pre-medical and health professions program. Along with her other accomplishments, she is an officer of several clubs including French club and student council. Price and King have been friends for many years, from the cheerleading squad to the classroom, they’ve been through thick and thin. “I was in calculus with her when she whispered to me that she got ‘it’ and at first I didn’t know what ‘it’ was, but when she said scholarship I was immediately so excited,” Price said. “I’m beyond happy for her and she is so so deserving of this scholarship. King wishes her friend Price the best of luck in her future endeavors as well. Both girls are “extremely thankful” to the many people in their lives who have helped them with their achievements. “I want to thank my family, friends, and teachers, especially (English teacher) Mrs. (Jenna) Hixson, for always supporting me and pushing me to do things I could’ve never imagined,” Price said. Price hopes to go into the medical field, specifically pediatrics. King is excited for this opportunity of a free college education. “It’s surreal to think that everything I’ve planned and worked for throughout the last four years is finally coming together,” King said.